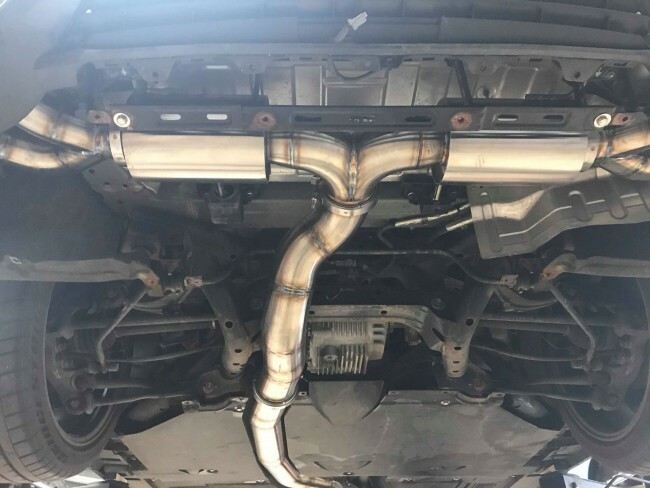 The EP Nissan GT-R Ultimate Exhaust system has been uniquely designed from the ground up for maximum performance and power. Suitable for road cars and track weapons alike, capable of flowing well over 1000hp! HOW IS THE NISSAN GT-R 4″ ULTIMATE EXHAUST SYSTEM MADE? 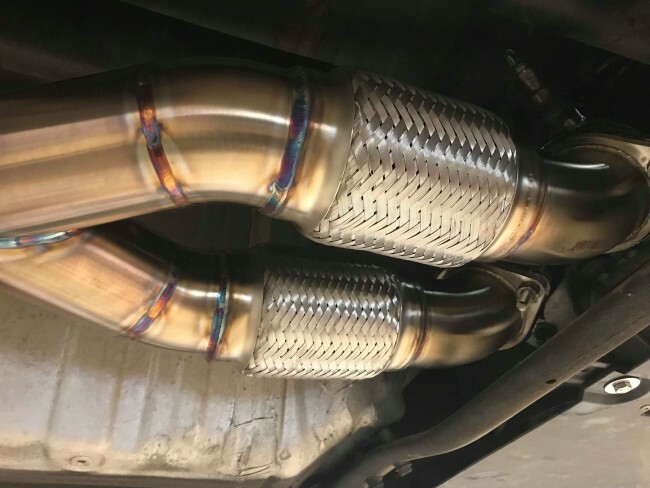 The EP Nissan GT-R Ultimate exhaust system is built from mandrel bent stainless steel. It is fully TIG welded and back purged for maximum strength, flow and reliability. Good flow is essential in a performance exhaust system, it allows the air to flow quickly from the engine and increases power. 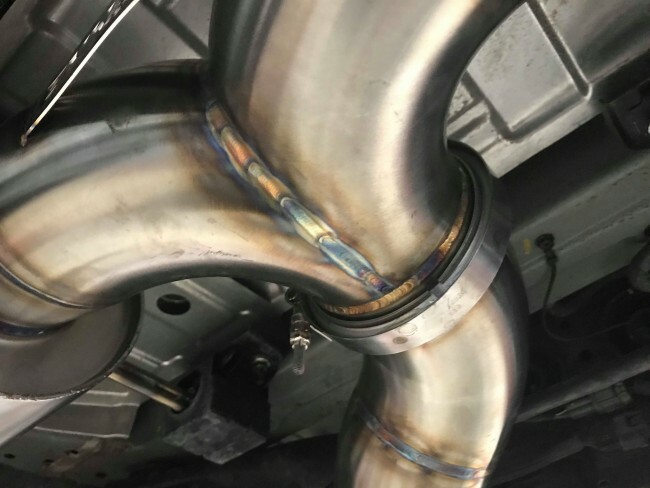 Our unique brushed finish ensures your Nissan GT-R Ultimate exhaust system looks as good as it sounds, what this system comes out of the box looking like for us is as equally important to how it performs. 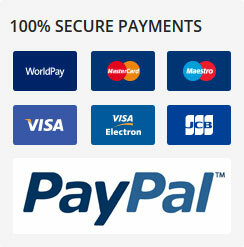 All wire hanger brackets are TIG welded, heavy duty and fully reinforced – built to last! Fully compatible with the OEM catalytic converters, as well as all aftermarket de-cat pipes. The dual 3″ two bolt flanges are fully TIG welded from both sides and surface ground for a leak-free seal. This is essential for providing a good transition between the downpipes and Y-Pipe, build up of heat in this area is a cause of poor flow and can eventually lead to weld failure in this area. This exhaust system features a full 4″ bore collector at the rear silencers, along with a full 3″ bore exit at either tip exit. This is far more time consuming to fabricate, but is superior in design to any other we know of on the market and will easily outflow any other brand, especially when pushing four figure horsepower figures! 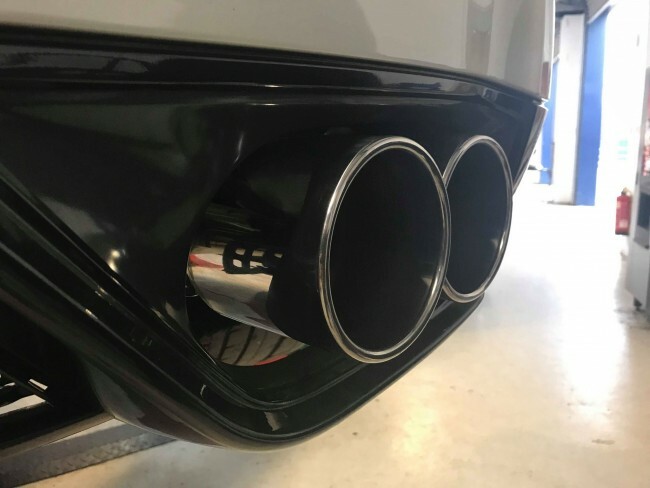 Fitted as standard with monster 5″ inward rolled tips, although we can create other tips upon request, such as double walled tips or even ceramic coatings. 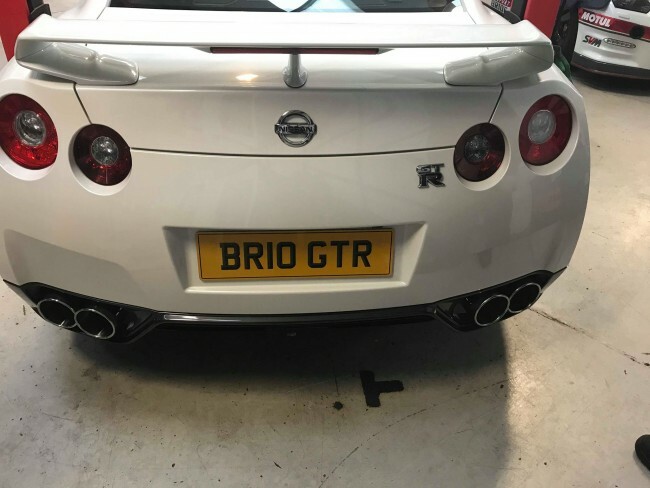 WHY BUY THE EP NISSAN GT-R ULTIMATE EXHAUST SYSTEM? 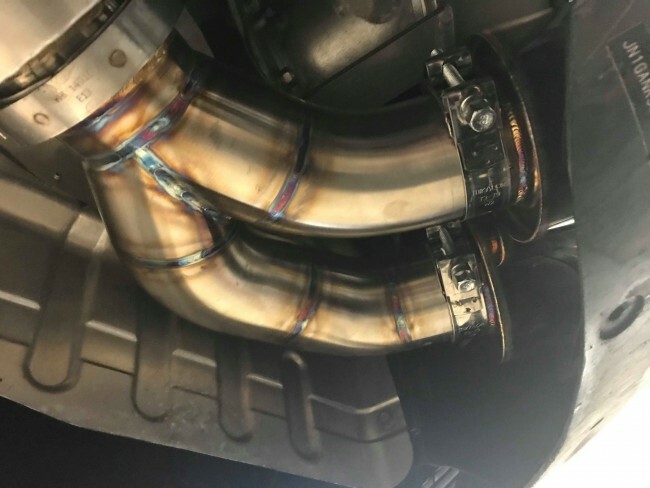 Each of our EP Nissan GT-R Ultimate exhausts system are built meticulously in-house by hand in intentionally small batches, this helps us keep total control over quality in all areas. 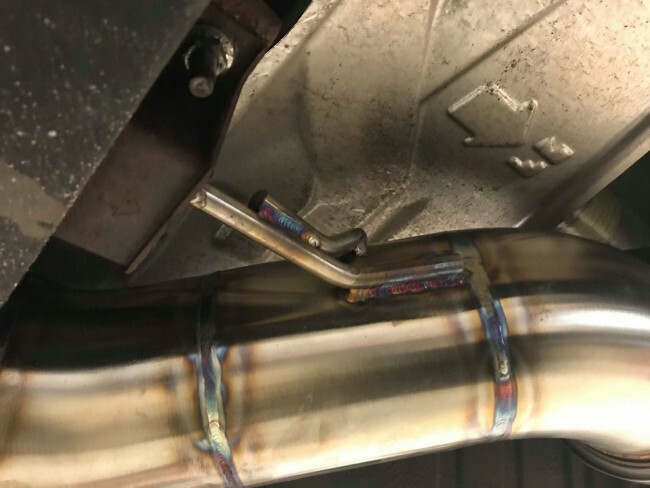 This is a motorsport grade system, so not only does it include our standard back purged TIG welded joints, we also use V-band joints for a fully leak-free seal. A full lifetime warranty is included on all our Enhance Performance exhausts. 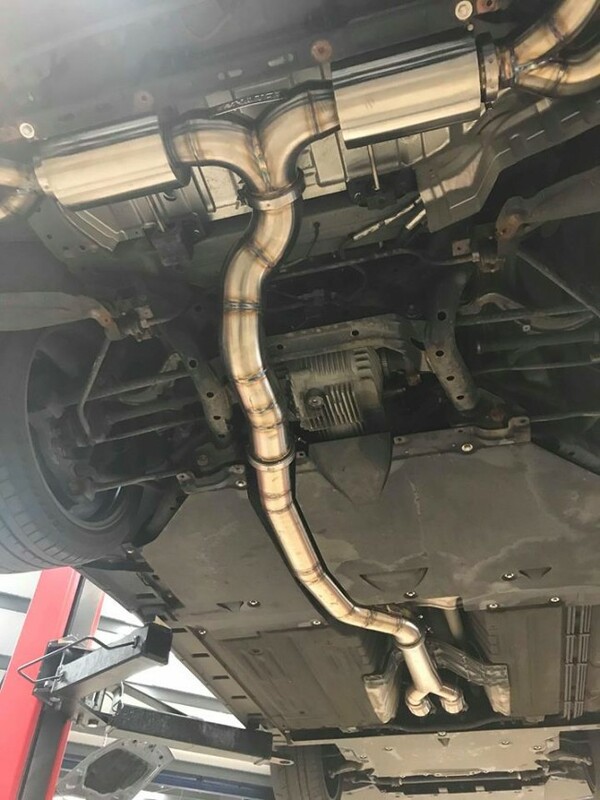 This is a Y-Pipe back exhaust system and does not include downpipes, which are available separately. Directly compatible with the EP Y-Pipe and not compatible with other Y-Pipes due to 4″ v-band connection.